Boston University’s Executive MBA program (EMBA) is designed for mid-to-senior level managers with 10+ years of professional experience. The program focuses on Management as a System, a cross-functional understanding of the interdependencies among organizations’ components. It also offers a strong global component through a concentrated international module and trip designed to provide an understanding of the many factors that frame the business context in a range of developed and developing economies. And throughout the entire program, participants learn from Boston University School of Management's world-class faculty and industry guest speakers who are brought into the classroom to highlight and augment case discussions. EMBA students get the opportunity to put the curriculum into action in a global context during the international seminar in Residence Week 3. Early application is advisable, since class size is limited and qualified applicants are accepted on a first-come, first-serve basis. Our integrated approach strikes a balance between theory and real life through live case studies, experiential activities, and class discussions. You won’t find isolated courses because you won't find isolated functions in business. This approach enables you to analyze the impact of your solutions across all organizational units. Moreover, you gain these skills in just 18 months: the program begins in December and ends in June of the following year. Classes are taught by senior faculty who have extensive experience working with corporate executives as managers and consultants. 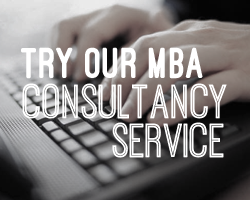 Their consulting practices and scholarly research keep them current on new technologies, trends, and best practices. If you think of teaming as a “soft” skill, then you’ve never experienced true team learning. Once you’re here, you will be calling team learning a lot of things. But “soft” won’t be one of them. Your peers are high-achieving, remarkable professionals. Diverse in their experiences and perspectives, they are an important source of shared learning, and a dynamic learning environment. After graduation, Executive MBA alumni engage in a wide-reaching international network of lasting professional contacts. Graduates organize periodic forums for alumni networking and lifelong learning. The EMBA program plans educational and social events and maintains a current searchable alumni database. In November 2009, BusinessWeek recognized the Boston University Executive MBA Program as #1 in New England, #18 in the US and #23 internationally, among the top Executive MBA Programs. Successful managers are able to function in all kinds of teams, including those that are short-term, cross-functional, and long-term product development oriented. They need to know how teams operate, how to be a contributing team player, and how to manage high performance teams in many different situations. The team learning program at Boston University provides students with an opportunity to apply course concepts in the context of a team-based environment. The team learning course occurs throughout the EMBA program and is integrated across the five modules and four residence weeks, including the capstone business plan.